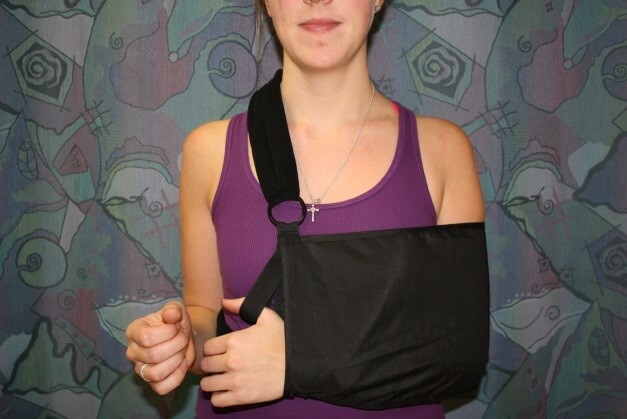 This booklet is meant to guide you with general questions you may have regarding your shoulder surgery. In no way is this information to take the place of your Surgeon’s, your Physiotherapist or Occupational Therapist’s instruction.If there is any part of this booklet that you do not understand or you have questions regarding please make note of them and speak further with your Surgeon, Physiotherapist or Occupational Therapist. It is important to understand that each person is different. We heal differently, have different concerns and abilities. If your Surgeon or Physiotherapist has concerns they can discuss with you how this information affects you depending on the nature of your surgery. 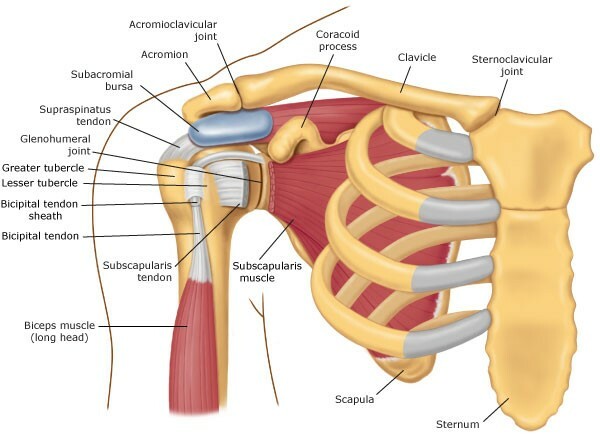 The shoulder is a unique joint which is comprised of 3 bones: the clavicle (collar bone), the scapula (shoulder blade) and humerus (upper arm bone). This joint is one of the largest in your body and is the most mobile of our joints. 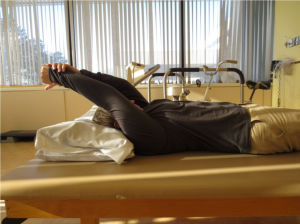 Like a golf ball on a tee, it is relatively unstable and relies on ligaments, and muscular control and coordination of the rotator cuff to make it stable. The Rotator Cuff (muscle and tendon units) act in a coordinated way to centre the ball on the socket. The deltoid muscle provides the power to move the joint and lift the arm. Place frequently used items at waist height so they are easier to access. Extra pillows might be needed to help support your shoulder while sleeping or sitting in certain positions. Some patients prefer to sleep in a recliner or on a couch instead of their bed. Ask family and friends for support and assistance with laundry, groceries, cleaning and driving to appointments/running errands. Practice such things as eating, washing and toileting with the opposite hand (especially if your operated arm is your dominant arm). Purchasing or renting items such as a long handled shoe horn, reacher, bath seat, and long handled sponge can ease the activities of daily living. Remove clutter and tripping hazards, make sure cords/wires are tucked away, loose rugs are removed. Purchase the shoulder immobilizer that is recommended by your surgeon ahead of time and practice putting it on and taking it off. It is not optional unless stated by your surgeon. Your surgeon will give you a prescription for insurance purposes. If you arrive at the hospital without a sling, or with an inappropriate model, your surgeon will apply an appropriate one in the operating room and you will be charged for it by the hospital. 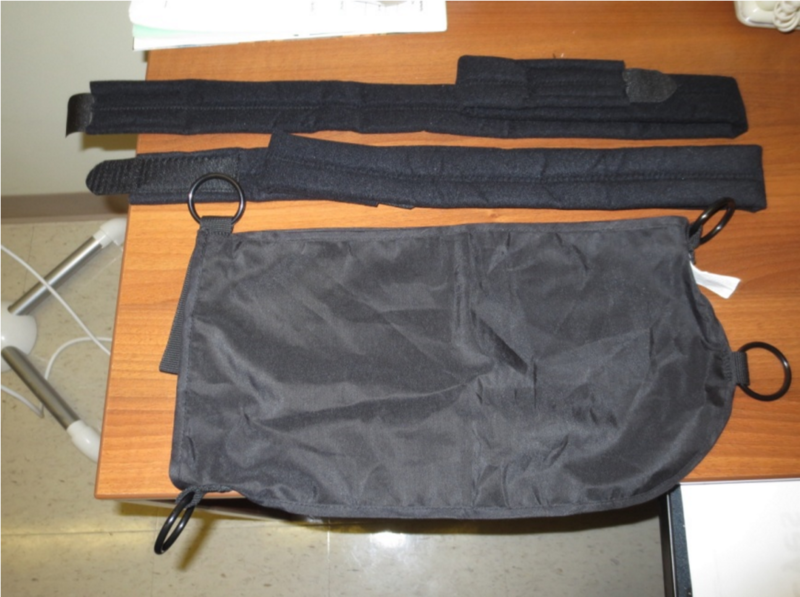 A “Cold Therapy Unit” or “Game Ready Brace” may be recommended by your surgeon. It is beneficial for reducing swelling and pain, and may help you wean your use of narcotic pain medication more quickly. Some private insurance companies will cover this cost. Please check with your provider. 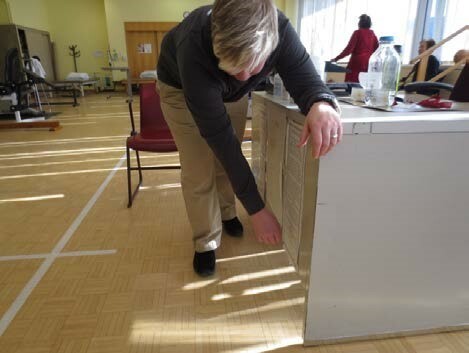 Physiotherapy is essential to the success of your surgery. Your surgeon will inform you when to start therapy (usually within the first week after surgery unless specified otherwise). You will be provided with a specific Physiotherapy prescription when you are discharged from the hospital on the day of surgery. We recommend you make arrangements for physiotherapy before surgery so that your treatment can begin in a timely fashion after surgery. If you plan on using an OHIP based therapist it is even more important to plan this ahead of time due to potential delays in availability if short notice is provided. Infections: If you develop any kind of infection before surgery (cough, cold, flu, vomiting, diarrhea, skin infection, urine infection, dental infection, etc.) please notify your surgeon’s office as soon as possible. A rebooking of your surgery may be required and if enough advance notice is given, we may be able to do so within a short time from your original booking. Tattoos: Please do not have any tattoo work done around your surgical site prior to your surgery or touch-ups for one year after your surgery. We take your artwork seriously and will try to avoid or hide incisions near or through it where possible. Sometimes this not possible; we do not want to compromise your care by placing an incision in a location which would not allow appropriate surgical access. 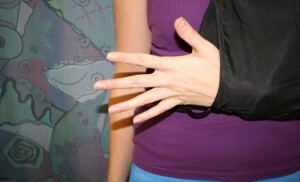 Rings and Piercings: Rings on the operative arm and all piercings must be removed. Rings can cut off the blood supply to your fingers when your arm and hand naturally swell after surgery and jewellery elsewhere can lead to burns if certain types of ccautery red to be used. If you have a jeweler remove a tight ring well before your surgery there is usually a good chance it can be done so without damage or with minimal work required to repair. If we have to remove a ring or piercing there is no guarantee that a repair can be done by your jeweler. Surgery will not proceed unless the ring or piercing has been removed. There are no exceptions for your safety. Dentistry and Colonoscopy: Dental procedures such as routine cleaning, root canal, crowns, implants and fillings, and Gastrointestinal procedures such as upper endoscopy and colonoscopy, can cause bacteria to circulate in your bloodstream. 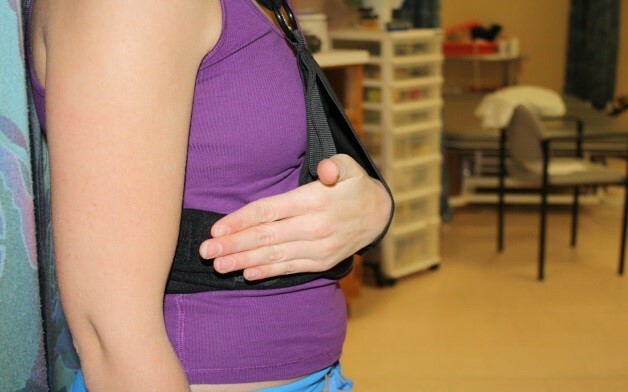 This can increase the risk of shoulder infection at the time of shoulder surgery. 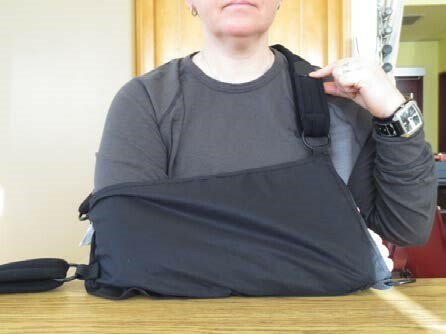 If such an elective procedure is planned prior to your shoulder surgery, please discuss timing with your shoulder surgeon as some procedures (or your shoulder surgery) may need to be delayed to minimize the risk of shoulder infection. 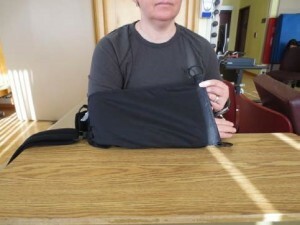 If these procedures are done on an emergency basis please inform your shoulder surgeon as soon as possible to determine whether or not the timing of your shoulder surgery is affected. The need for an in-person preoperative anesthetic or medical appointment is determined by a telephone interview carried out by a nurse in the Anesthesia Preoperative Clinic. If an in-person appointment is made, bring your health card and any private insurance information. Bring any names and addresses of all your treating physicians, reports, letters or diagnostic imaging results requested by your surgeon. If the anesthesiologist requires any additional information, you may be asked to sign a release of information to allow transfer of any relevant medical information from your treating physicians. You will have standard lab work done. You will be given instructions at this appointment about the day of your surgery and what you should expect. Bring all Prescription medications, over the counter medications, inhalers and vitamins in their containers. This appointment can take quite some time, particularly if your health history is complex. Pack a snack and something to drink if it is around a meal time for you. You can eat and drink as usual on this day. All medications should be taken as usual. Please clarify which medications you are required to take on the day of your surgery with the Anesthesiologist. Having someone with you, such as a family or friend is a good idea, especially if you are not fluent in English. They can help translate and/or help to pose any questions or concerns you may have. If you have been diagnosed with sleep apnea inform the the anesthesiologist on the day of this consultation and bring your CPAP machine with you on the day of your surgery. Nothing to eat or drink after midnight (including gum or candy). Only take the medications you have been instructed to take with a sip of water. DO NOT consume alcohol 24hrs before your surgery. If you smoke, smoking cessation is strongly advised. Smoking increases the risk of infection and blood clots, increases the likelihood that your tendons or ligaments will not heal, and increases the likelihood of continued pain after surgery. We encourage you to discuss a cessation plan with your primary care provider before surgery. Shower that morning to help reduce the risk of infection which is often caused by bacteria on the skin. Do not use abrasive brushes or sponges as these may increase the risk of skin infection. DO NOT shave around or near the surgical area. DO NOT apply creams, lotions, powders, perfume, or hair care products. 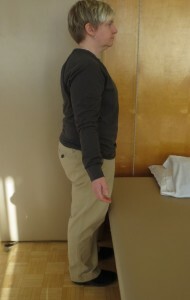 Wear comfortable loose clothing that is easy to maneuver with one hand **No tight-fitting clothing for the upper body**. Your footwear should be rubber soled with enclosed heels. 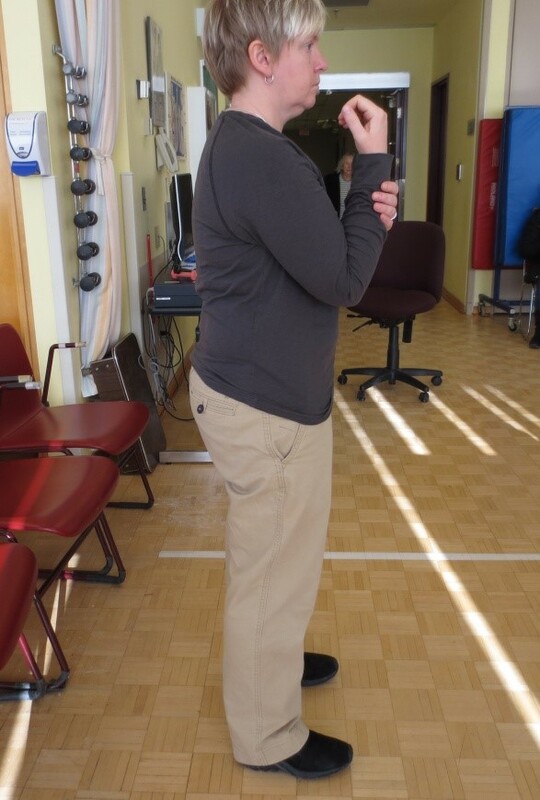 Footwear is important for safety and balance to help reduce the risk of falls. If you wear glasses or have dentures please bring their respective containers to keep them safe while you have surgery. If you have sleep apnea and use a CPAP machine please bring it with you on the day of surgery. Bring only what you need for that day. Leave your valuables at home. No jewellery, watches, credit cards, cash or electronic devices should be brought to the hospital. Rings and piercings should be removed as stated above. Arrive a minimum of 2 hours prior to your surgery. Check in at Day Surgery with your health card. You will be given an ID bracelet. Your chaperone will get a tracking number. You will change into a top fastening gown, an IV will be started and the nurse will check your vital signs. 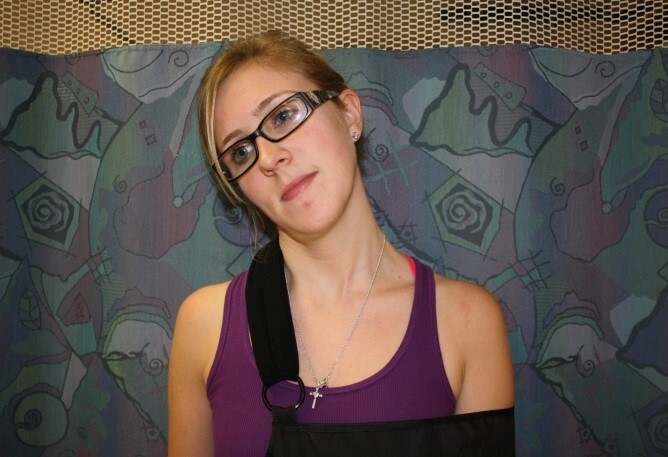 A chaperone may stay with you in the preparation area until your surgery. Afterwards, they can sit in the lobby where one of our volunteers can update your progress with them. Your pain management and type of anaesthesia will depend on what is best suited for you and the procedure you are having. Sedation is given through an IV and an ultrasound is then used to locate the nerves near your neck which cause post surgical pain around the shoulder. A local anesthetic (freezing) is injected into this area and will cause your arm to feel frozen/heavy for 15-48 hours after surgery. Painkillers and/or anti-inflammatories will also be prescribed for you to take home.. Take your first dose when you first start to feel pain around your shoulder or before you go to bed that night even if you are not feeling pain, whichever occurs first. It is always better to stay ahead of the pain by proactively taking medication, than to try to catch up when it is bad. 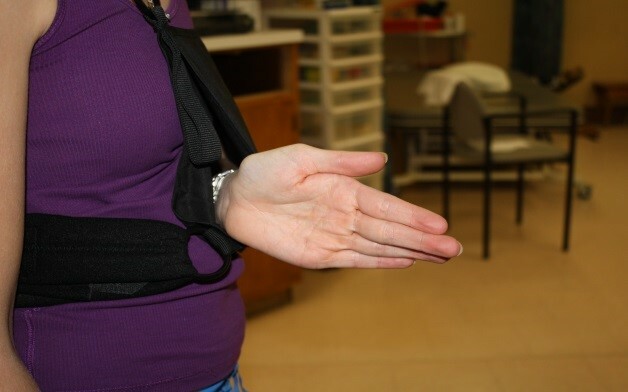 Use your Cold Therapy Unit or Game Ready Brace when you can feel your arm again (usually within 24-48 hours of your surgery). We advise you to use it as frequently as possible at rest (but not sleep) and after your home exercises or Physiotherapy but not before. Your stay in the recovery area is approximately 2 hours. Nurses will closely monitor your pain and vital signs. Deep breathing, ankle pumps and ankle circles should be started as soon as possible. This will help with your circulation. 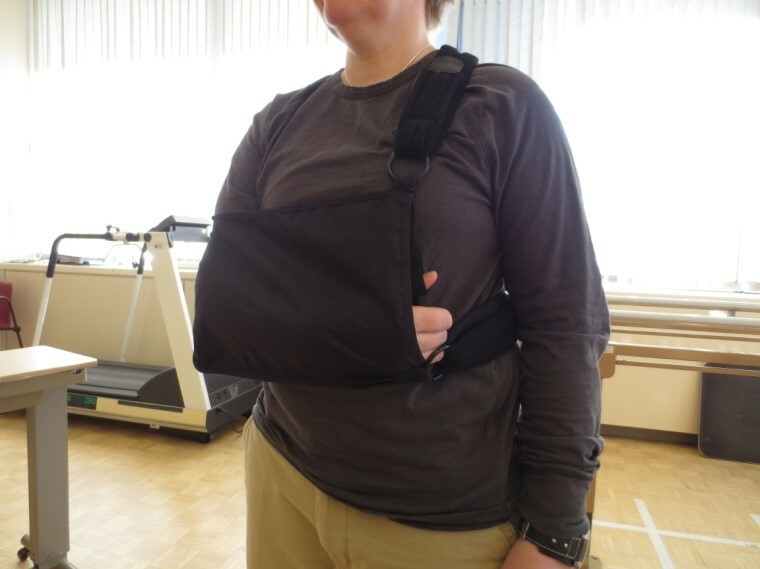 The appropriate sling (shoulder immobilizer) will be put on you before you leave the hospital. Ensure that you have a family member or a friend with you for the first 24 hours after your surgery. Arrange for transportation home that day with someone who will accompany you. We cannot discharge unaccompanied patients into taxis or public transportation. Please ask the person accompanying you to book your post-operative appointments in The Shoulder Centre before leaving the hospital. 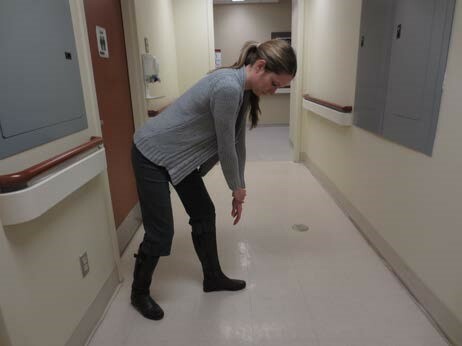 If you do not have extended coverage for Physiotherapy, therapy is available at both of the Rouge Valley Sites. Ajax-Pickering and Scarborough Centenary. You must call the Outpatient Physiotherapy Department ahead of time to be put on a list or to enquire about any information they may need. DO NOT leave this until the last minute or your recovery might be compromised. You are in charge of your recovery. Take the time to understand what you can & cannot do. The following is a list of suggestions that you can do to be proactive in your recovery. The more proactive you are the better you will feel overall. Remember, even if you feel tired, sore or frustrated, keep moving. Plan your daily activities ahead of time. Be mindful of when your energy levels are at their best. DO NOT RUSH!! Take care to be aware of your shoulder’s position and posture when you are active. Keep your upper and lower back straight, look at your posture in a mirror especially when doing your exercises, and remember to tuck your chin down and back and shoulder blades down and together to provide a stable base for proper shoulder joint motion. Remember to stretch your neck and shoulder blades and move the hand on your operative side. Take your sling off but keep your elbow supported on a table or armrest to move your forearm, wrist, and hand, and to prevent cramping and stiffness. Keep the other arm moving and focus on posture on your nonoperative side to minimize the risk of it hurting due to overuse. Your body requires the proper nutrients to help with the recovery process. A healthy balanced diet and Hydration are important. Both help cells and organs with proper function and provide oxygen to heal and repair tissues. Some pain is expected but suffering is avoidable. Pain medication is prescribed for you, not only to make you comfortable, but also to make appropriate physiotherapy and home exercises toleable. Use what you require and try to wean off narcotics when possible. However, if you use no medication but do no therapy your condition will worsen and you will develop a painful frozen shoulder. Used 30 minutes prior to home or physiotherapy exercises, medication can help to enhance your progress with and avoid large flare-ups of pain following therapy. Important in your cognitive function, cardiovascular and immune health. It allows time for the body in a stress free environment to repair and heal itself. A positive attitude is said to have its own healing abilities. 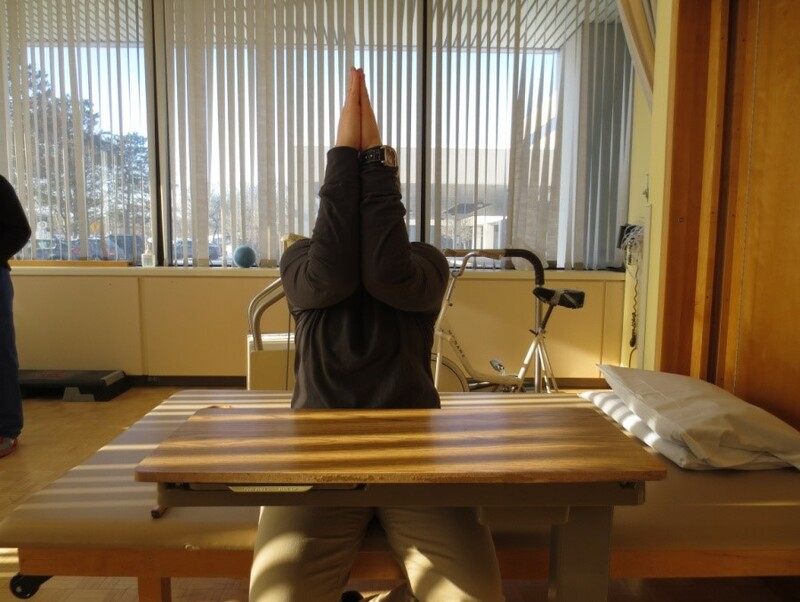 Dealing with an injury or surgery can be mentally taxing. You are not alone. It will get better with time and effort. More is not better. 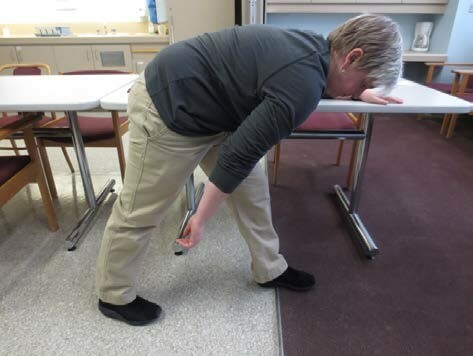 We suggest you do your home and outpatient physiotherapy exercises as prescribed, but with balance. A general rule of thumb is that pain should be no more than 5 out of 10, for no more than an hour or so after your exercises. Any more is overdoing it. Any less may reduce your progress. The amounisn’t pain you have may change from day to day and it is normal to have both good and bad days during your recovery. Sleep any way you want as long as you are comfortable. 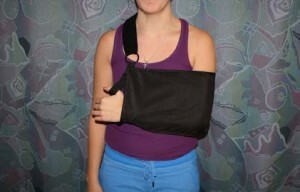 Sleep with a pillow supporting your operated shoulder and/or the upper arm if you had a shoulder replacement surgery. If sleeping on your nonoperative side, a pillow across your chest to support your operated side can help, as well as sleeping in a recliner. Be prepared for interrupted sleep for the first few months. You will need to sleep with your sling on until advised by your surgeon. You may shower in 3 days providing your sutures are covered by a waterproof bandaid. Cover your incision sites with plastic wrap to prevent your incision and dressing from getting wet. Avoid direct water impact to the operated shoulder when you are in the shower. DO NOT soak the wound i.e. in a bath, hot tub, pool etc. for 10 days after your sutures are removed. However, once sutures are removed you may shower with incisions uncovered after a few days. Remove the sling as per instructions. Follow your protocols. If your dressing does become wet, remove it and replace it with a clean, dry dressing. Use the unaffected arm for lathering. 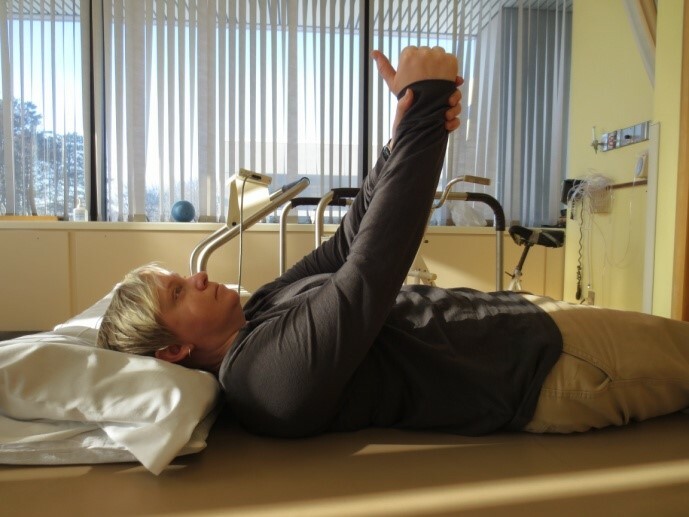 Keep the operated arm close to your side but remember to wash underneath your operated arm by bending forward or sideways and allowing gravity to move your arm away from your body. 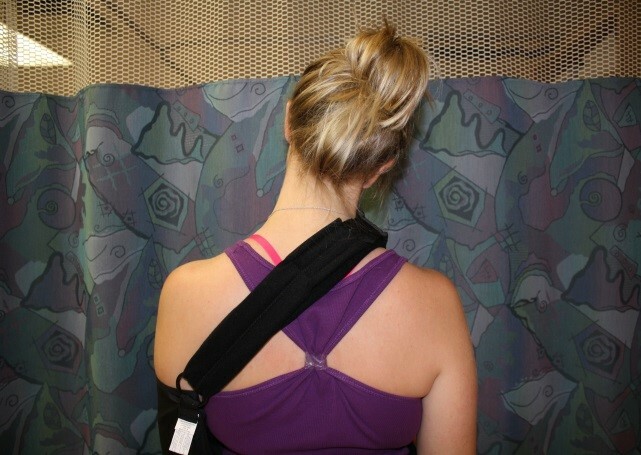 If your surgeon recommends that your elbow stay bent, then support it in this position either by using one of the loops from your sling, or by supporting your elbow with the other hand or on a ledge in your shower. Use non-slip mats in the shower/tub as well as a shower bench with arms for support to improve your safety. Tools like a long handled sponge can help with your back and legs. Consider devices such as an extendable shower hose/head for bathing. DO NOT use your operated arm while attending to personal toilet hygiene i.e. wiping yourself. You may want to practice this with your new noperative hand before surgery. Loose and comfortable clothing is recommended. Place a face cloth in your armpit between your arm and your torso to reduce friction. Women may find wearing a bra uncomfortable. If wearing a bra it should be fastened in front and turned to the back with the nonoperative arm/hand as well as pulling up the straps. Apply with your nonoperative hand. Front closing shirts are ideal. 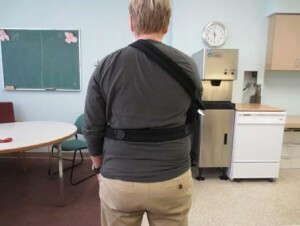 Dress the operated arm first/undress it last. 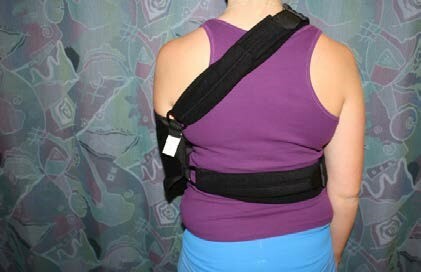 Your sling should be worn over your clothes. Tying shoe laces will be challenging. There are elastic laces that can help with this. Slip on shoes (providing they are safe) are an alternative. Take your time. Rushing leads to jerky, unbalanced movements which can cause pain. Sit down while dressing. Feel the chair or seat at the back of your legs. 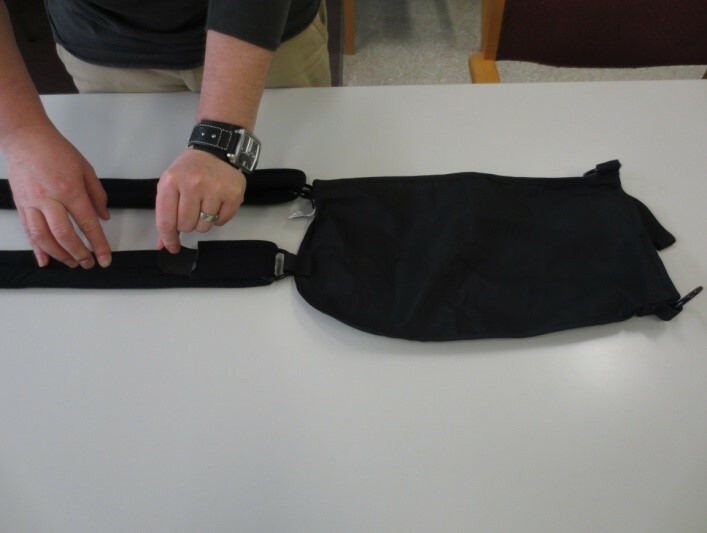 Reach back with your nonoperative arm/hand to feel the arm rest or seat area. Gently lower yourself. Do not flop. Move to the edge of the seat and put the nonoperative arm/hand on the arm rest or seat area to push yourself up. Keep your shoulder ahead of you. Avoid seats that are too soft or into which you sink. These are more difficult to get up from. Grocery shopping before your surgery is a good idea. Stock the cupboards and freezer. Frequently used equipment should be moved to the counter for easy access. Coffee/tea, sugar, mugs/cups, plates, utensils should also be easily accessible. Non-slip mats are better than throw rugs that should be removed to avoid tripping on them. Use an electric can opener when possible. Use a bag to help you carry things from one room to another. It is a good idea to prepare your home prior to surgery. Do laundry/change sheets ahead of time. Heavy activities like vacuuming, bathroom cleaning should be done prior to surgery or ask someone to do it for you after surgery. 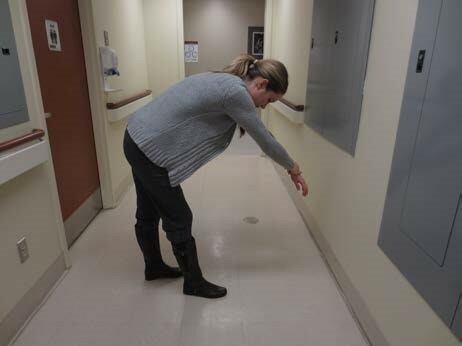 Light activities such as dusting are ok as long as you are using your unaffected arm/hand. Avoid gardening or sports until advised by your surgeon or physiotherapist. Discuss returning to work with your surgeon prior to your surgery and at follow up visits. You may want to discuss the availability of modified work with your employer before surgery. Share this information with your surgeon so that together you can plan for a safe and timely return to work. DO NOT drive after surgery until you have consulted with your surgeon. Turn your back towards the seat. Your bottom should go in first. Use your nonoperative arm to help lower yourself gently. Slide backwards, lean back and bring your legs around. 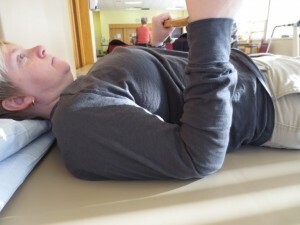 Use a pillow to support your operated arm. Reverse this process for getting out of the car. After your surgery, you will need to be careful with the operated shoulder. Always support your operated arm. 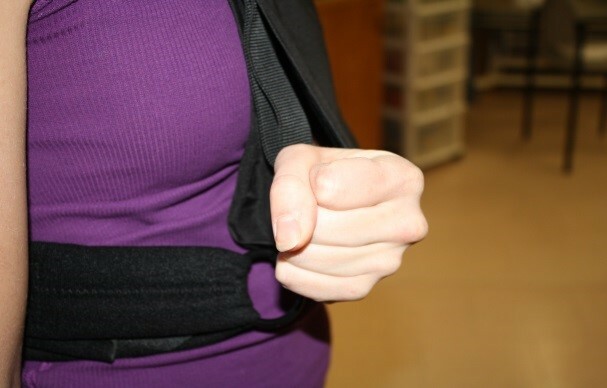 Using your nonoperative arm bring the strap behind your neck onto the other shoulder and put it through the top ring near your wrist. Then attach the Velcro. 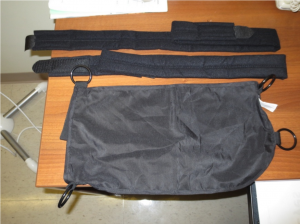 Reach behind with your nonoperative arm for the waist strap. Bring the strap around and put it through the bottom ring near your wrist. Attach the Velcro. There is a thumb loop in which you may rest your thumb. 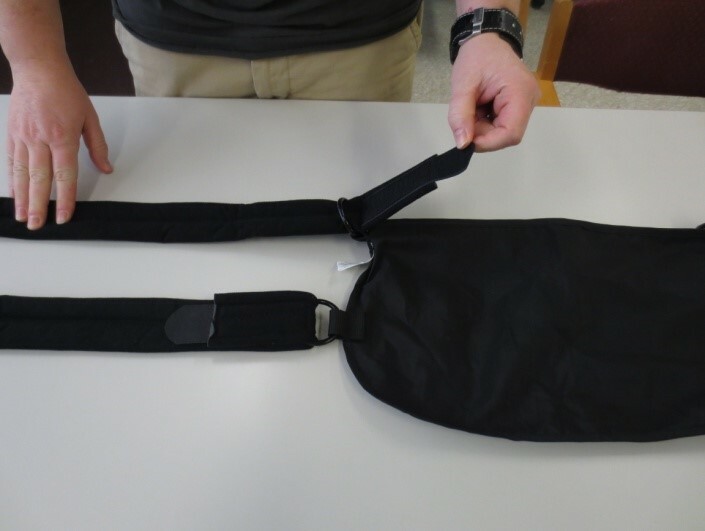 You may adjust the sling simply by re-attaching the straps. Maintain the ROM within the joints that are below your shoulders. The following exercises will help with that. DO NOT try to move your arm away from your body. Let gravity do it for you. Do not hold your breath while you are exercising. Perform the following exercises 3-5 times per day as tolerated. 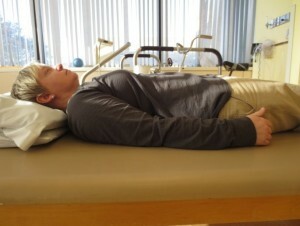 Your Physiotherapist will teach you further exercises when you commence your therapy. Reps 10 x 2-3 sets as tolerated. Gently pull hand towards body (Flexion). Gently push hand away from body (Extension). Reps 10 each way x 2-3 sets as tolerated. 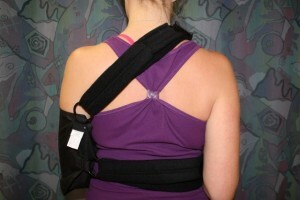 With arm supported in the sling, in an upright position, lightly squeeze your shoulder blades towards your spine. Reps 10 x 1 set. Gently tilt head away from operated shoulder. 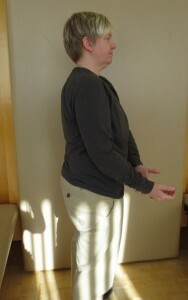 In sitting or standing, gently bend and straighten your elbow. Assist with the non-operated hand. All shoulder motion is passive. Passive means the shoulder itself and its muscles do not initiate any of the movements. This includes avoiding pulleys and stick assisted exercises. 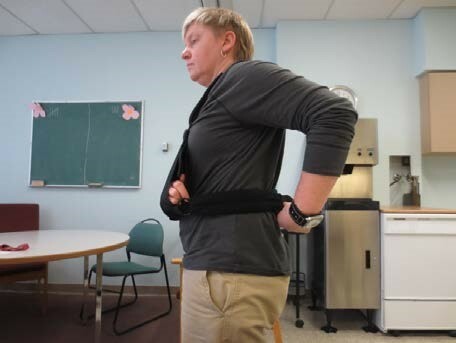 Bend forward and support your non-operated arm on a firm/stable surface. Relax and let gravity help you swing the operated arm back and forth. First move your body and then the arm will swing naturally and passively. Or you can guide the arm with the non-operated arm. And clockwise and counter clockwise. Bend forward and support the elbow of your operated arm with the other hand. Relax and let gravity help you swing the operated arm back and forth. Do not actively use your arm for reaching, especially overhead. Do not lift anything with your arm. 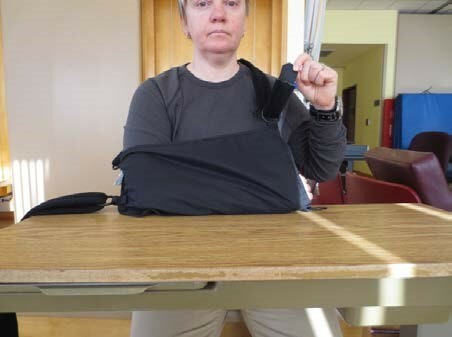 Bend forward and support your non-operated arm on a firm/stable surface. 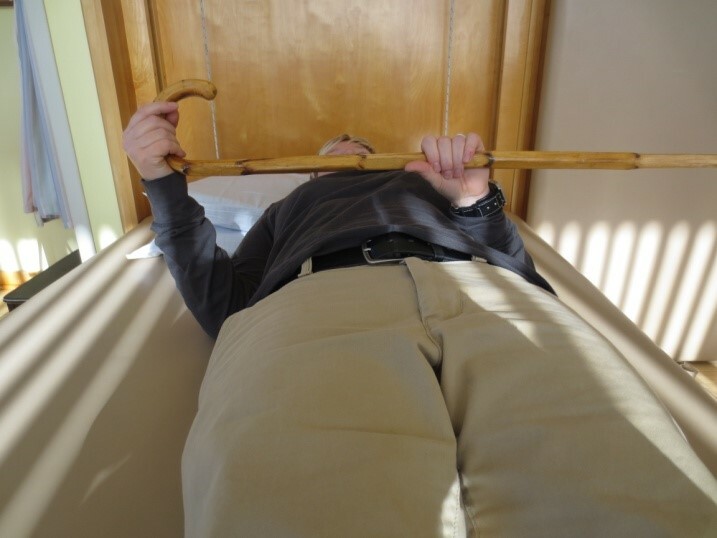 Relax and let gravity help you swing or you can actively swing the operated arm back and forth. 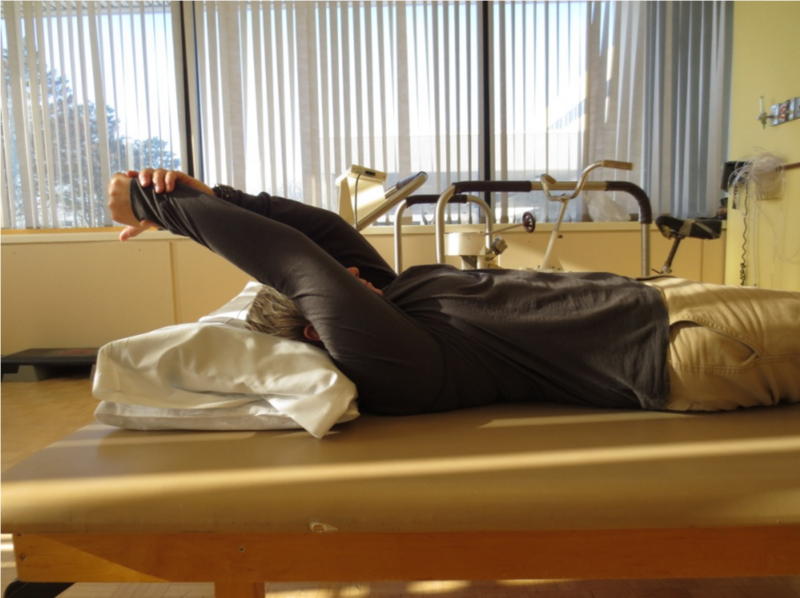 In lying, carefully use the good hand to assist the operated arm up and above your head. Keep your shoulder blades squeezed but not shrugging your shoulders. Hold for 5 seconds. 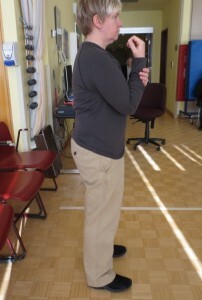 In lying, using a cane to assist. Gently push the cane towards the operated arm. Your elbows must be kept at a right angle and stay close to the side of your body. Hold for 5 seconds. 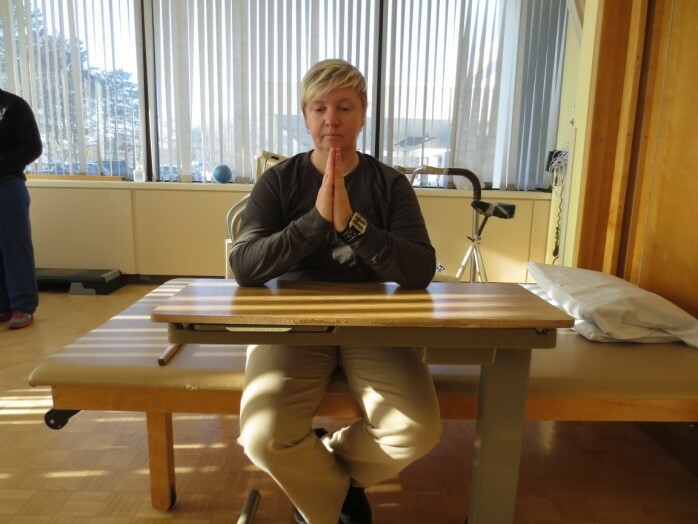 In sitting or standing, using a towel you will have your good arm gently pull the operated arm upwards along your spine. Hold for 5 seconds. 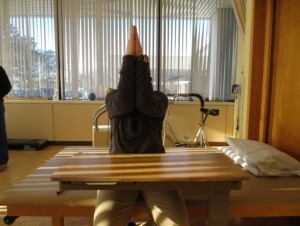 Sit with arms on a table and hands in a prayer position. Keep palms together and elbows on table while sliding elbows toward each other. 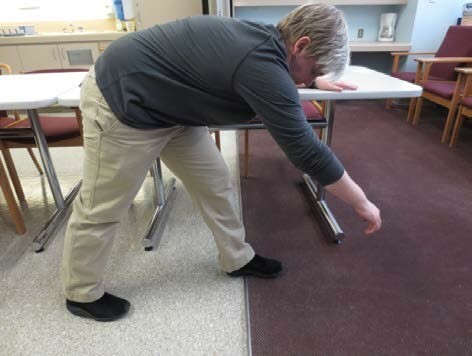 Lift elbows off table to shoulder height with the good hand assisting. Keep your shoulder blades squeezed and do not shrug your shoulders.